Utter the words sociopath or psychopath in any public forum, and everyone knows what you’re talking about. “Like serial killers, right?” Yeah, like serial killers. Even in clinical settings, these dated terms are sometimes still used. They’re simply easier to say than antisocial personality disorder (APD), the label currently given in the fifth edition of the Diagnostic and Statistical Manual of Mental Disorders (DSM-5). Years of working with law enforcement agencies on cases involving shootings, serial crimes and sexual homicides have given me plenty of exposure to APD. But diagnosing was rarely my role with those cases, and the subjects were always men in trouble with the law — a distinctly biased sample. In clinical settings, I rarely found use for the APD diagnosis until about a dozen years ago, when my entire perspective was transformed by reading Martha Stout’s 2006 book The Sociopath Next Door. Stout, a clinical psychologist, does a masterful job of describing the disorder and providing examples of the various ways in which the disorder manifests. As I should have known, not everyone diagnosed with APD is — or will become — a serial killer. As a young clinician many years ago, I assumed that I wouldn’t see APD in my general practice. After all, serial killers weren’t known for voluntarily pursuing psychotherapy. Knowing what I know now, however, I must have seen clients with APD many times without realizing it. Estimates on the frequency of the disorder vary widely, but according to the DSM-5, the presence of APD in the U.S. population is about 4 percent. Given the broad effects of APD, this is a very large number, and mere probability means that most clinicians will be exposed to APD at some point in their careers. After reading Stout’s book, I began to understand why. My two experiences — homicide work and the clinical office — might also explain the wide-ranging estimates. My law enforcement sample increased my exposure to individuals with APD. In the clinical setting, on the other hand, I was misdiagnosing or underdiagnosing — thus limiting my perception of the existence of APD. This is an oversimplification, but I probably missed correctly diagnosing APD because I associated it only with criminals. Although many individuals with APD are criminals, there are many other manifestations of the disorder. In brief, the DSM-5 criteria for APD require that a person be at least 18 years of age and do the following: lie, deceive, have a reckless regard for the safety of others, be impulsive or irritable, manipulate, lack remorse for actions, fail to conform to social norms and behave irresponsibly. This very broad and generalized set of criteria can be exhibited in a variety of ways. According to the DSM-5, APD is much more common in males than in females, and my experience — both in the world of criminal justice and in the clinical setting — reflects that claim. Some years ago, I was consulting with a business, helping with team building among its upper-level administrators. One senior administrator in particular frustrated me. Alex (not his real name) would give the impression that he was working on something for our project, but then it would become evident that he had no intention of doing anything. If I asked Alex directly if he planned to do the project work, he wouldn’t come right out and say “no” in defiance of his superiors. Rather, he was simply evasive. I didn’t trust Alex, and he gave me little reason to. He gave slippery answers to simple questions, and more than once, I noted contradictions in things he told me. On some occasions in private conversation with me, he would slip into an arrogant attitude regarding his bosses, as if he perceived that he — rather than the CEO — should be leading the company. A time or two he even tipped his hand to me, describing how he had lied to his co-workers or others. He seemed quite proud of getting away with his deceptions. I reasoned that if Alex lied to others and was proud of it, he would probably lie to me too. In the few meetings Alex attended and in conversations in the hallways, he could be kind and often flattering. He used all the right lingo, especially if the boss was around, and in my view seemed so overly effusive on occasion that it bordered on disingenuous. At other times, Alex condescended to his fellow employees, the secretarial staff and other “underlings,” both in private and in front of others, as if these co-workers were idiots. He would then cast glances at those around him, suggesting that they were all in on some big joke of which the target was unaware. His attitude came across as if he believed everyone was too stupid to see what he was doing. Alex consistently failed to show up at meetings where his presence was critical, including during my final week with the project, when he was supposed to lead the meeting with our team. Instead, he left us all waiting in the conference room. I found out he had instead decided to go on a picnic with his family. He had left a message with a secretary saying he would get back to me about rescheduling, knowing full well that I wouldn’t be returning after that week. It was no wonder this administrative team had troubles. Alex wasn’t lazy and he most definitely wasn’t incompetent. In fact, he was very bright and capable. At times he seemed so on top of his game that I wondered if he might be bored with the relatively minor challenges of his job. But that wasn’t his problem. Instead, I think it delighted him that nobody could tell him what to do. He believed he was pulling the wool over the eyes of his bosses, his colleagues and his “underlings.” I think he reveled in messing with them, making their jobs harder and knowing that they couldn’t do anything about it. For example, I don’t believe that Alex had any reservations about leading my final meeting or that he hadn’t done the work. On the contrary, he probably had. It was part of his insurance package. If the boss had asked Alex about his work, he would have pulled it from his hip pocket in a heartbeat. Instead, the picnic with his family was a way of flipping me the bird and knowing that I couldn’t do anything to stop him. After reading Stout’s book, the APD diagnosis for Alex seemed obvious. That diagnosis answered all my questions regarding his behavior with me and with his co-workers. But these individuals with APD aren’t always men. One client from years ago was referred to me from an employee assistance program because she was exhibiting symptoms of paranoia. In my assessment, Linda (not her real name) was indeed clinically paranoid. In a cruel twist of irony, however, her boss was working hard behind the scenes to get Linda fired and, more relevant to this conversation, a fellow employee (whom I’ll call “Millie”) knew that Linda was troubled and used that realization to her advantage. So, although Linda was clinically paranoid, people really were out to get her. Millie tormented Linda, dropping hints that this person or that person in the company was asking about Linda or questioning the quality of her work. Millie carefully crafted comments that went to the very heart of a paranoid individual’s anxieties. As Millie inflamed Linda’s paranoid thoughts, those thoughts exacerbated Linda’s annoying behaviors in the workplace — the very things that led Linda’s boss to seek options for her dismissal. At other times, Millie would overtly lie, saying a manager or vice president had come by looking for Linda when she was out of the office. These statements would aggravate Linda’s fears that she was in trouble or that her bosses thought she wasn’t working — neither of which were true. Out of fear of confrontation, Linda wouldn’t ask any of the administrators if they had come by to see her. If she had, Millie would have been exposed, but Millie knew Linda wouldn’t risk that confrontation. Millie did similar things to other co-workers. For example, one woman was struggling with the fear that her husband was having an affair, and she confided this to Millie. Thereafter, Millie would find opportunities when she was alone with the woman to talk about a movie she had seen in which a man was unfaithful or to gossip about a co-worker who was suspected of philandering. On another occasion, she shared details about a friend whose husband had been exposed for having a long-term affair and how “foolish” her friend had been not to have seen it. Millie’s purpose was not to gossip but rather to cause turmoil within these two employees — throwing gasoline on the fire of paranoia with one and on the fire of emotional anguish with the other. All the while, she could innocently defend herself, saying she was merely discussing company business or the sad facts behind a broken marriage. The abridged way that I describe APD beyond the DSM-5 criteria for my students and interns is twofold, with one additional caveat. 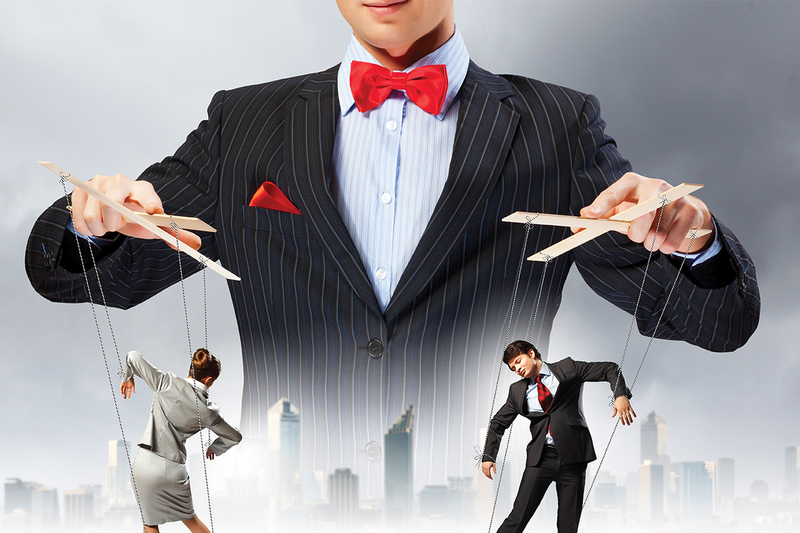 First, we have to think of those with APD as puppeteers — a metaphor that I borrow from Stout. Each time the puppet master moves the wooden cross pieces of the marionettes, the strings move the puppets below them. These puppeteers are essentially saying, “Dance for me.” Millie made my client and other employees dance any time she wanted. To Millie, these women were toys she could manipulate at will. Both Millie and Alex were very good at covering their tracks so that they could keep their jobs. They had perfected plausible deniability. The second thing to know about individuals with APD is that they are takers. In some cases, they can be violent, such as the taking of another person’s life in the case of serial killers or the taking of someone’s sexuality in the case of rapists. But there are many other things that people with APD can take. For example, they take advantage of the goodness of others, becoming leeches who move into someone’s home under the guise of getting back on their feet. Instead, they won’t leave until they are kicked to the curb. Some people with APD become police officers and federal agents, reveling in the taking of another person’s freedom. And some of these individuals become hucksters, taking money whenever they can for the sheer pleasure of getting away with it. Individuals with APD create chaos in their homes, workplaces, sports teams and social environments, taking peace from those around them. I served as the vice president for student life at a Southern university for several years in the late 1980s and early 1990s. During one particularly challenging year, the first several weeks of school brought one crisis after another. Issues in dormitories, in classrooms, on athletic fields and even in the cafeteria had me investing hours, on a daily basis, to manage these crises. By October, it dawned on me that one particular student had been involved to some degree in each and every major problem that had come across my desk. He was either the complainant or the target of a complaint in each instance. In the end, this student had stolen credit cards, jewelry and cash from various students. He repeatedly lodged baseless accusations of racism against professors, staff and fellow students. He was suspended for the stolen property issue and left our campus — but stayed in his dormitory room until the very last minute he was required to vacate. And he wasn’t done yet. In true APD style, he later filed a baseless lawsuit against our university with the American Civil Liberties Union (ACLU) and used his college mailing address on the paperwork — an address that obviously was no longer valid. He also listed me as a reference for a job he applied for just hours after leaving our campus, undoubtedly hoping that the company wouldn’t follow up on his references. In his job interview, he completely misrepresented the reasons for his withdrawal from school, telling this employer that he had decided to take some time off to figure out what he wanted to do in life. The ACLU lawsuit was dropped for lack of evidence, and the employer did, in fact, follow up on references. Fortunately for us, after this student was dismissed, peace returned to the community. The caveat that accompanies these two descriptors regards the conscience. It is an oversimplification to claim that individuals with APD have no conscience. In fact, some argue that they must have a conscience. It is proposed that to enjoy the suffering of others, one must have at least a minimal sense of right and wrong and one must have the ability to imagine what others are thinking and feeling. We know this as empathy. Simply put, our conscience is a powerful voice that keeps our behaviors in check, even when primal urges push and pull us in other directions. This voice allows us to empathize and causes us shame when we violate its dictates. But in clients with APD, these violations cause pleasure. At a minimum, there is either a deficit in that governing voice with these clients or they lack it altogether. The most common question I get regarding clients with APD is whether they can be treated. That is not an easy question to answer. There is very little research on the efficacy of therapy for these clients. There is also the problem of biased samples. Most research is done on hospitalized patients or on those who have been mandated to counseling, which may not be reflective of the population of individuals with APD at large. Given APD’s symptoms, we can expect that many, if not most, of these clients won’t engage in counseling voluntarily. Therefore, in therapy we may see only those who want help (motivated clients) or those who have been mandated (resistant clients). But there is hope. A 2010 comprehensive report by the National Institute for Health and Care Excellence (NICE) in the U.K. provided some important information for clinicians, including that treatments for APD do exist. The study notes that treatment is most helpful when there is early intervention. The second important bit of information is that even though there is no “cure” for personality disorders, symptoms can be treated. Medication and treatment for comorbid issues (anger management, social skills training and relaxation training) are the most likely areas of focus. It is important for clinicians to recognize that most mental health issues exist on a continuum. We formally recognize this continuum in several areas, including autism, suicide risk and developmental delay. Although the DSM-5 does not provide a continuum for many disorders — APD included — anyone who has been in the field for very long can recognize that the continuum exists. Most of us have seen clients with major depressive disorder who cannot get out of bed, and we have also seen clients with the same diagnosis who function far better. Personally, I miss the Global Assessment of Functioning scale in previous DSM editions because it provided exactly the continuum I’m describing. The case involving Alex had an interesting conclusion. A few months after my summary meeting with Alex’s company, I got a call from the CEO asking me to see Alex on a one-to-one basis. The CEO wanted to retain Alex but was considering firing him because of a series of problematic behaviors like the ones he exhibited when I was working with the management team. For weeks, Alex and I worked together as I tried to help him salvage his job. He resented his employer, and he resented having to come see me. Every session was a battle for control — Alex trying to manipulate me and me trying to stay on task. I wish I could say that I discovered some therapeutic magic trick and that Alex changed. Unfortunately, he did not. I tried anger management, relaxation, social skills training, perspective-taking exercises, problem-solving exercises and long-range planning. I repeatedly appealed to Alex’s self-interest in keeping his job. Nothing worked. Alex’s marriage was cold and emotionless, he had only cursory involvement with his two daughters, and he had no hobbies or activities that brought him pleasure outside of work — the one place where his puppet stage was always open. My therapeutic attempts were interrupting his theater. Even though I tried to give Alex control as much as possible, just as I do with most of my clients, we butted heads repeatedly. He fought me every minute of our monthslong therapeutic relationship. Just like when we worked together on the team-building project, I suspect Alex had no intention of working on anything in counseling from the start. In the end, we terminated therapy after his required period of intervention. The CEO fired him, and I’ve never heard from Alex again. But this doesn’t discourage me. The NICE study confirmed what I experienced: The older the client with APD is, the harder it is to intervene. Despite my frustrations with Alex, I don’t regret trying to help him. As I tell my clinicians-in-training, anyone can work with the easy clients. Professionals work with the hard ones. Sadly, Alex wasn’t one of my success stories. Linda, on the other hand, was. Helping clients whose lives are being disrupted by individuals with APD is no easy task either. Just like people who batter their spouses, people with APD are very good at manipulating others while making it appear that they didn’t. This causes the individual being manipulated to introspect rather than to see the inexcusable behaviors in front of their eyes. Linda was mandated to counseling because of her paranoia and the challenges in her job. Yet because of her paranoia, she was convinced that people were trying to get her fired, and that was a claim that I couldn’t deny. However, by acknowledging that people really were out to get her, I risked feeding her paranoia. What a challenge. This is what I did. We spent much of our early clinical work polishing relaxation techniques. Then we moved to reality testing. This helped Linda in two ways. First, when she feared someone was plotting something, she now had tools to evaluate the legitimacy of that claim. For example, when Millie said a boss had come by “wondering” where Linda was, we looked for ways to confirm or deny such claims. We then worked on Linda’s assertiveness skills. This, combined with reality testing, almost completely put a stop to Millie’s manipulations. The next time that Millie said Linda’s boss had come by or implied that a supervisor might think that Linda wasn’t doing a good job, Linda confronted Millie and asked her whom she was referring to specifically. Then Linda went to that boss to see what she might do to improve. Millie never counted on Linda taking that assertive action. When she could no longer easily manipulate Linda and predict what she would do, Millie moved on to other targets. These three skills also helped Linda salvage her job. Because she was more relaxed at work and felt more confident when she faced her fears head-on, her paranoia no longer created workplace issues. As a result, her boss who had been seeking a way to fire her backed off and let her do her job. But as Stout so clearly outlines in her book, there are many other ways that APD is manifested. Individuals with this disorder can be cutthroat businesspeople or politicians. They can be covetous psychopaths — individuals with an inordinate desire for the possessions of others. They can be individuals who steal, lie and commit fraud. They can appear lazy — living in a rent-free house, sleeping on someone’s couch, or taking advantage of their spouse and children. They can be people like Millie who “gaslight” others, a descriptor taken from a movie of the same title in which a man tries to drive his wife mad. If those with APD are intelligent, like Millie and Alex, they can manipulate social impressions. Those with APD who are less intelligent end up in trouble, in prison, homeless or dead. These individuals aren’t bothered by cheating on their spouses, causing chaos at work, or defrauding and stealing from their friends. They use their charisma to deflect attention from their devious behaviors, essentially hiding in plain sight. Their accomplishments, such as financial success, can conceal their dysfunctional motives. And when challenged, they use intimidation and their domineering personalities to cause anyone who might question them to back off. And perhaps most important for us to know as counselors, individuals with APD will manipulate us if we aren’t careful. We will see these clients in our offices, but what is even more likely is that they will be the husbands and wives, sons and daughters, bosses and co-workers of our clients. The seemingly inexplicable behaviors that our clients relate to us will make much greater sense in the context of the potential APD diagnosis for these people in their lives. That powerful knowledge can help us set goals and establish solutions for managing these situations. Gregory K. Moffatt is a licensed professional counselor, a certified professional counselor supervisor and a professor and department chair of counseling and human services at Point University in Georgia. He has been in private clinical practice for more than 30 years, specializing in work with traumatized children for much of that time. An author and international speaker, he has also worked as a consultant to the FBI and as a homicide profiler. Contact him at greg.moffatt@point.edu. In the early days, Caroline, a 14-year-old girl, started each session with a chin thrust indignantly at her counselor. She wanted to be seen as a warrior, and she offered answers that were blunt as a sledgehammer. And why should she drop her defenses? She had seen too many adults — teachers, social workers, friends of the family — try to engage with her at first, and then seemingly lose interest. In the end, she felt that she was just an inconvenience to everyone around her. Why should Caroline believe that this counselor would offer a different type of relationship? With any new client comes the challenge of forming a therapeutic relationship, but when that new client is an adolescent, there are additional factors to consider. Aside from the legal issues of capacity and consent, I discuss 10 of those therapeutic factors below. 1) A holistic assessment: It is important to adopt a strengths-based approach to assessment of adolescents. In addition, it is worth reviewing that assessment more regularly than with an adult client because more things are likely to change with a growing adolescent. As Urie Bronfenbrenner pointed out, a young person’s development is the result of a complex system of relationships that constitute the child’s environment. Therefore, assessments of young clients will include their developmental needs, the extent to which caregivers are meeting their needs, and their family and environmental contexts, including the influence that their school and peers have on them. The assessment should also gauge the influence of technology in the young person’s life. 2) Emotional “distance” from problems: As an adolescent, Caroline needs her counselor to appreciate that she does not have the same “distance” as adults experience from their problems. Adolescents have little control over their lives. They have to stay in the same home or school, even if these things might be the source of their depression, anxiety or other presenting issue. 3) Grasp of emotional language: As a 14-year-old, Caroline still has not developed her emotional language, so volcanic eruptions of anger or shoulder shrugs of apparent indifference are her only means of expressing how she feels. We have to see past the shoulder shrugging, which can easily be interpreted as nonchalance, and open ourselves to the possibility that young clients want to express themselves but just don’t know how to yet. Images are a useful starting point, even if it is just looking at a series of facial expressions to try and help these clients identify the emotions they are experiencing. 4) The dominance of transition: Transition features heavily in adolescents’ lives. Each year, they are at a different stage of educational development and, each year, they experience bodily changes. On top of all of this, their ideas about who they are and how they fit in with their peers and wider society are in a constant state of flux. At this level of fluidity, a counselor can offer Caroline some sort of stability. One source of this stability can be the therapist’s professional boundaries. 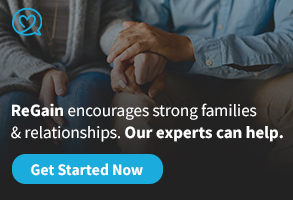 The counselor can also offer Caroline the benefit of his or her life experiences, providing a deeper context than Caroline’s young perspective. But the counselor’s older years and life experience do not provide complete insight, no matter what the client’s presenting issues is, so a person-centered approach is crucial. We, as counselors, do not know Caroline’s worldview until we explore it with her, and we have to be careful not to make too many assumptions. 5) Disruption tenfold: It is hard for adolescents to experience so much transition, but it is even harder to manage at the same time as dealing with mental or physical health challenges, a chaotic home life or a sudden major change experienced by the adolescent’s parents (e.g., job loss, divorce, bereavement). Because of the volcanic eruptions of adolescence, there is a danger that adolescents will become scapegoats in these situations. Just because adolescents may shout the loudest does not mean they are the source of the problems. Often, parents bring their adolescents for therapy, and these adults are completely unwilling to consider that the need for change might also rest on their own shoulders, rather than expecting just the adolescent to change and the whole family dynamic to become settled. 6) Discrimination experienced by minority adolescents: If an adolescent client is a member of the LGBTQ community or is an ethnic minority, it is likely that they have endured some sort of discrimination. If adolescents have to make sense of this — in addition to the transitions they are experiencing in their bodies, at school and at home — it can be challenging to deal with. 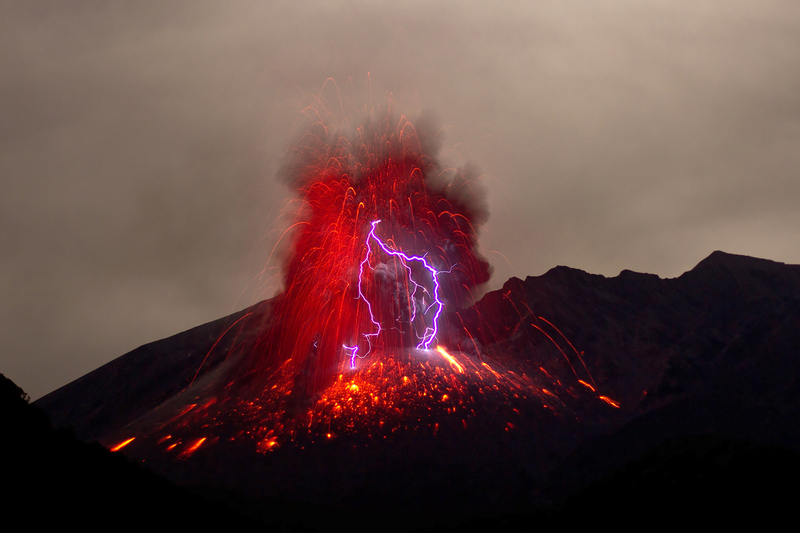 Is it any wonder that we sometimes see volcanic behavior in adolescents in the form of outbursts and defiance, screamed at us in a burning rage? If we are to help these youngsters, we have to see past the behavior that spews out like lava. We must dare to imagine what unmet needs might be fueling this volcano. To help us, we can consider Abraham Maslow’s hierarchy of needs, and we can assess to what extent our adolescent clients may be getting their basic physiological needs met. Perhaps they are hungry, or there is the constant threat of homelessness hanging over them. Or perhaps their basic safety needs aren’t being met because domestic violence is present in the home. We can continue working our way up Maslow’s hierarchy (love/belonging, esteem and, ultimately, self-actualization) to understand what unmet needs may be fueling what appears on the surface to be irrational and unacceptable behavior. 8) Testing (to discover and take reassurance from) the boundaries: Adolescents may test boundaries more than adult clients do. Modeling behavior is important, and this is where congruence comes into play. If young clients are constantly pushing the boundaries by turning up late to sessions or missing them entirely, you can communicate the resulting emotion you are experiencing as a result of their behavior. I like to think of this like a sonar device: Young clients are checking to see if you are still emotionally there and whether they are also still present in the interaction. You can share this with young clients, showing that certain behavior has consequences. Then you can jointly look for a way to resolve the matter. 9) The resistant adolescent: As with any resistant client, adolescents need to feel that they are choosing to be in the sessions. But what happens if they are given no choice? If a therapist is working with a young client and the client’s family, and the young client chooses to leave the session early, what should the approach be? I have heard some therapists adopt the following approach: They tell young clients that they are free to return to the session at any time but that the session will continue with the other family members. I quite like this approach because it avoids sessions becoming hijacked and held hostage by young clients, which might be a parallel process to other times in which these young clients have held more power than they knew how to handle. For example, they might have been forced to adopt a parental role with a younger sibling, or even a neglectful parent, at an inappropriately young age. 10) Mindfulness and meditation: I have seen and heard some of the criticisms of mindfulness and meditation. I struggle with this because, when I was starting out in this profession, my mentors raved about mindfulness and meditation. I need to see where this debate goes, but in the meantime, I cannot help but believe that there might be some value in mindfulness and meditation in our work with young clients. Everything we offer our clients involves a balancing act between thoughts, feelings and bodily sensations. Society is built to engage the thinking side of our awareness, and this casts a shadow over our feelings and bodily sensations. Yet all three are important sources of information. If we focus solely on our thoughts, we are arguably functioning at only a third of our capacity. Short and simple mindfulness or meditation exercises can help young clients tap all sources of information, while also giving them a moment of relief from the constant demands of life. Chris Warren-Dickins is a licensed professional counselor in Ridgewood, New Jersey. Contact him through his website at exploretransform.com. In the counseling profession, resistance is essentially considered a four-letter word. Actually, many counselors probably feel more comfortable using a four-letter word than they do talking about a client’s or supervisee’s resistance. There are good reasons for this aversion. Traditionally, resistance shown by clients or during supervision was considered a type of pathology. It was akin to victim blaming. As a profession, we have come to understand that resistance to change or to feedback is often a normal reaction to anxiety, stress, evaluation, trauma or even the learning process. Counselors have substituted many names, including ambivalence and self-protection, in place of resistance to avoid pathologizing normal behavior. As counselors and supervisors, we must choose our words wisely, understanding that every word has unspoken meaning. History is full of negative references to resistance. Most of these denote the effect of some form of rejection — an idea is discarded, a form of government is found offensive, love has bloomed unrequited in someone’s heart, advice is unwanted, and on and on. However, resistance also has a beautiful aspect: the formation of diamonds as they respond to the pressure of the earth, muscles gaining tone and strength under the resistance of weight, the violinist’s fingers sturdily pressing the strings of her instrument as she then presses her bow to produce the sound. Taking it a step further, here is an object lesson: I (Michelle Backlund) was visiting with a colleague who previously taught ballroom dance for 30 years, and he recognized how physical resistance could create connection, spontaneity and fun within a dance partnership. I was sharing with this colleague the many negative effects of resistance on relationships. This simple object lesson created a paradigm shift for me as a counselor and as a supervisor. I began wondering how to harness client and supervisee resistance to create stronger, more collaborative, nonpathologizing relationships. This is the beauty of resistance. Most humans use resistance to assure their physical and emotional safety. The reality is that the world can be truly threatening, and resistance is a means of reducing that threat. Whether we are discussing resistance as it relates to a client who has taken the risk to attend counseling or a supervisee who understands that supervisors serve as gatekeepers to the counseling profession, their anxiety and protection of identity should be regarded as normal reactions to a perceived threat. An obvious question then arises: How do we recognize resistance that is showing up in our counseling or supervision sessions? You might laugh at this question, feeling that you know all too well how to recognize resistance. Resistance can be difficult to identify, however, especially for new counselors and new supervisors. Responding to the many threatening experiences that humans face from childhood through adulthood, people may unknowingly develop very artful and socially acceptable methods of manifesting their resistance. Of course, some methods are less artful. Some forms of resistance are easier to detect than others. My interest in this subject came from my experiences as a counselor and as a supervisor. I noticed that sometimes I would come out of a session feeling what I called “yucky,” but I didn’t really know why. Things seemed fine, but for some obscure reason, I did not feel good about the session. The conclusion I finally reached after an extensive literature review on the different linguistic substitutes for the word resistance is that no word stands alone without using resistance to help define it. To me, this says that turning away from use of the word resistance is not really feasible. However, it is feasible to harness the constructive power of resistance by using it to create relationship. But to use this tool, we need to be able to identify resistance in its various forms. Game playing may be used as a form of resistance either consciously or unconsciously. Either way, it is deployed as an attempt to maintain control. I think of it as a type of shell game in which attention is drawn elsewhere to get the player (i.e., the counselor or supervisor) to lose his or her place. Esteemed social worker Alfred Kadushin wrote about game playing; what follows in this section is a synthesis of some of his ideas combined with some of my own. One game-playing technique is flattery, which is used to deflect counselors or supervisors either from confrontation or their evaluative agenda. Flatterers are the clients or supervisees who can talk for 20 minutes about the counselor’s or supervisor’s outfit, the office décor or even the “game” the other night, secretly hoping that the counselor will run out of time to address some important aspect of the prior session or the supervisor will run out of time to look at their session recording. Redefining the relationship, in which the client or supervisee creates ambiguity. Self-disclosure, in which the client or supervisee talks about himself or herself through telling stories. Clients might do this by skipping from one story to another, giving no time for reflection or comment. Supervisees might use storytelling about self or clients, engaging the supervisor so there is no time for skill correction. Trying to reduce the counselor’s or supervisor’s power, in which clients or supervisees attempt to show that they are more intelligent than the counselor or supervisor. Working to control the situation with the direct use of questions that can steer conversation away from the client’s or supervisee’s areas of anxiety. Focusing on failure and seeking reassurance. Allowing helplessness to feed into dependency by working to implement every single word that the counselor or supervisor shares in session. 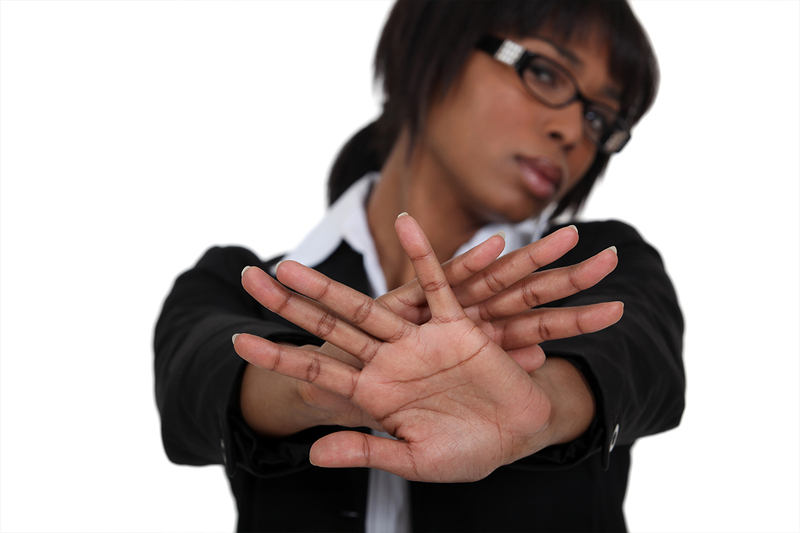 Practicing self-protection by externalizing blame for their lack of growth on the counselor or supervisor. It is important to remember that playing games is designed to create safety and protect the self. One simple way to work with game playing is role induction. Clients and supervisees have constructed coping strategies (resistance) that have served them well. Typically, these strategies have evolved in an organic way and are outside of the client’s or supervisee’s awareness. We can help these individuals understand that counseling or supervision can be stressful and that clients or supervisees may develop certain behaviors as a way of dealing with their anxiety or stress. In normalizing this process, it becomes less threatening. You could provide your clients or supervisees with a list of behaviors, thoughts and feelings that they might experience during your work together, then invite them to freely point out these behaviors, thoughts and feelings to you as they notice them. This broaching process becomes a step toward creating a collaborative relationship. As they point out their own resistance, you can be appropriately curious about it and then thank them for bringing it to your attention. Often, clients and supervisees will not call attention to their own resistance. However, as they grow more aware of it, they may choose to lay these behaviors down in an effort to use their time more wisely. Another way to look at resistance is through a developmental lens. It has been proposed that manifestations of resistance can have roots in the unsuccessful completion of Erik Erikson’s developmental stages. What would we listen for if we used this framework in our counseling or supervision sessions? Trust versus mistrust: When clients or supervisees have not fully learned to trust others, the anxiety produced in an ambiguous setting such as counseling or supervision may create enormous tension. In many instances, those who have not successfully navigated this stage have experienced parents, guardians or other authority figures as harsh, critical or unaccepting of them. Often, they expect to be rejected by their counselor or supervisor. This lack of trust can be recognized by clients’ or supervisees’ maintenance of distance in the relationship; they may seem closed, guarded, defensive and extremely self-sufficient. Identifying these traits is essential to using this information to strengthen the relationship and create collaboration. Glickauf-Hughes suggests that when working with those who are distrustful, taking a person-centered, nondirective approach can help them to feel safe and may provide a corrective experience. Consider letting them know that you can tell they are a bit guarded; ask them whether they have been hurt in the past and whether they are concerned that you might also hurt them. 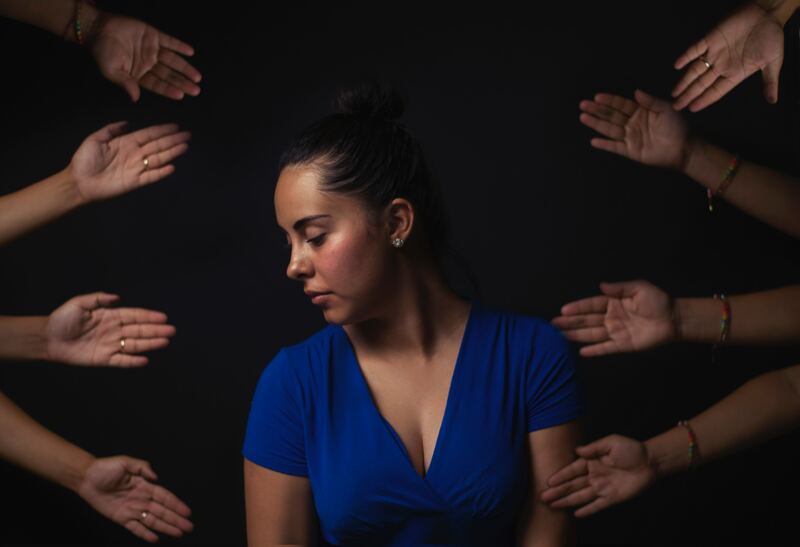 Autonomy versus shame and doubt: Clients or supervisees who struggle with issues surrounding the need for autonomy can be confusing for counselors and supervisors. Erikson warned that controlling others helps those without a sense of autonomy to feel in control of their own lives. To protect their personal freedom, these individuals may mince words or say things like “yes, but …” — anything not to accept influence from others. Glickauf-Hughes and Linda Campbell suggested three ideas for working with those who struggle with autonomy: Socratic questioning, homework, and healing stories or puzzles. These strategies put power directly into the hands of clients or supervisees, allowing them to arrive at the answers they seek without things being laid out for them explicitly. Interestingly, this is helpful even when resistance is not present. Most people enjoy finding their own answers; it increases their self-efficacy and helps them to feel autonomous. This is exactly why it works so well for those with issues of autonomy. Those who have not successfully navigated the aspect of shame versus doubt are particularly sensitive to any confrontation or feedback, even when it is done with extreme care and sensitivity. Issues of shame originate within relationships and indicate to the individuals being shamed that, somehow, they themselves are unworthy or defective. Unfortunately, shame can be so internalized that it becomes self-activated and no longer attached to an interpersonal event. This may present as clients or supervisees being so hard on themselves that it preempts any possible feedback from others. This ultra-vulnerable type of person is, in some ways, reminiscent of a sensitive child. This makes sand tray therapy or sand tray supervision an excellent tool for working with clients or supervisees who have internalized shame. For those who believe intrinsically that they are somehow unworthy or defective, the sand tray is a wonderful avenue for them to look at issues and dynamics in a nonthreatening way. The figures become a buffer between these individuals and the counselor or supervisor, protecting the ego from further damage. This is less threatening for supervisees because they can work out the dynamics they are witnessing with their clients. Sand tray therapy or sand tray supervision can also create self-awareness. When incorporated with Carl Rogers’ core conditions, this can cause confidence to grow and doubts to recede among clients and supervisees. The use of positive reframes can also be used to reduce anxiety and increase receptivity to change. Mark A. Masters suggests that positive reframes should be designed to emphasize the client’s or supervisee’s experience of personal power and self-esteem. The use of positive reframes is most useful when three different components are present. First, the reframe empowers clients and supervisees by improving their self-reliance and motivation. Second, most behaviors can be asserted in a positive connotation. 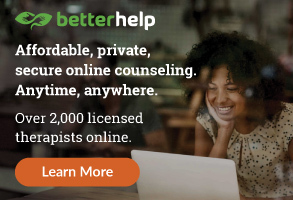 This can increase clients’ and supervisees’ sense of safety within the counseling or supervisory relationship, thereby promoting reflectivity and growth. Finally, the positive reframe is most useful when it models more effective ways of dealing with the person’s thoughts, feelings and behaviors. When all three of these components are applied together, they can create a powerful alliance that furthers clinical development. Glickauf-Hughes emphasizes that when reframing, the counselor’s or supervisor’s word choice needs to be mild and should evoke curiosity in the client or supervisee. Identity versus role confusion: What about the client or supervisee whose fundamental issues with others involves the developmental stage of identity versus role confusion? This fragile sense of self can come into play as clients and supervisees strive to find their confidence or shift their already-fragile identity. In this case, learning from the counselor or supervisor would mean merging with him or her, so clients and supervisees in this developmental stage steadfastly hold to their current identity. Signs of this resistance can come through expressions of contempt (such as eye rolling and other demeaning behaviors and statements), often appearing argumentative or expressing directly or indirectly that all other modes of being (for the client) or all other theories (for the supervisee), other than their own, are without value. Metaphors can provide a means to use what a person already knows and relate it to even more complicated information in a way that transfers the learner’s original understanding to the new situation. The use of metaphors, or the process of transferring information from the known to the unknown, can enhance the learning process and create an atmosphere in which resistance improves emotional connection. For those who feel their identity threatened, the use of metaphors, jokes or Socratic questioning can help them find their own answers. This maintains their identity and prevents them from rejecting the information. Externalizing issues can also reduce stress in the client or supervisee, again allowing both learning and a better relationship. For example, let’s say your client with a talent for writing music has a goal to develop relationship skills to create a more satisfying social life. Relating the client’s goal to something with which the client is familiar may transfer his or her understanding of one skill to another. In this case, you might first create a theme for the type of song or type of social life the client wants. Let’s imagine it will be a ballad because the client is looking for an intimate relationship. Next, a basic melody is plotted out (what type of person is the client looking for?). Then the lyrics are sketched in (does the client believe this type of person already exists in the client’s current social circle?). Add some harmonies (how can the client enlarge his or her social group?). Once the basic song is set, the addition of instrumentation, percussion and orchestration develops the song into a masterpiece, with all of the different pieces adding to the complexity and beauty of the finished product (how might the client expand the types of activities that he or she enjoys — sports, theater, reading, dancing, outdoor recreation and so on?). Metaphors, in the form of stories or drawing activities, allow clients and supervisees to depict themes, issues and relationships in their lives or their clients’ lives. At the same time, the use of metaphors leaves the identity or newly emerging identity of the client or supervisee intact. Motivational interviewing can broaden our view of resistance in a way that can be applied to the supervisory relationship. William R. Miller and Stephen Rollnick, the primary developers of motivational interviewing, explore using resistance to increase connection. Rolling with resistance — which simply means being curious about it — can strengthen relationships and depathologize resistance as normal. Supervisors can easily detect resistance in supervision and can choose to employ some basic motivational interviewing responses to join with the supervisee and open the door to exploration. The specific use of and instead of but in this example is important. And creates the possibility that the supervisee can exist in both worlds — one of wanting help and another of rejecting it. Embracing the ambivalence that a supervisee might feel in supervision can open the possibility for the supervisee to explore what it feels like to be needing connection and resisting it at the same time. And it’s also possible that the supervisee’s client feels the same way — an example of parallel process. Agreeing with a twist: Being a supervisee is hard work. The courage it takes to present clinical work that is mediocre and the vulnerability required to sit with a supervisor and watch the “magic” unfold can be unnerving. “Agreeing with a twist” refers to reflecting on the risk that a supervisee takes when sharing difficult sessions with a supervisor (especially when the supervisee is not yet in a place to be vulnerable and courageous) and then providing a reframe that opens discussion. 1) Acknowledging and validating the supervisee’s experience. 2) Offering a simple self-disclosure that deepens the reflection. 3) Asking an open-ended question that gets at the heart of what is happening, apart from the actual case the supervisee has brought to discuss. This method of “caring confrontation” serves to invite the supervisee to share his or her fears of negative evaluation. It also allows the supervisor to assuage those fears and build the kind of relationship in which a supervisee can share “not so great” work without sacrificing a piece of his or her ego. Using OARS as a basic model for resistance-free supervision: At its core, motivational interviewing is person-centered. Simple strategies for supporting, inviting and engaging supervisees early in the supervisory relationship are often overlooked. OARS is an acronym that can serve as a reminder to supervisors (and counselors) that the basic skills of open-ended questions, affirmation (support, appreciation and understanding), reflective listening and summarizing are absolutely essential and can foster connection, openness and curiosity in both supervisees and supervisors (and clients and counselors). The usefulness of any tool involves its accessibility and effectiveness. The beautiful aspect of resistance as a tool is that it is consistently present in some form. It is always available to strengthen the counseling or supervisory relationship. Try using the tools we have suggested in this article and working to identify strategies that can reframe resistance in positive, collaborative and nonpathologizing ways. Resistance provides opportunities to connect, engage, be curious and, ultimately, foster the kind of counseling and supervisory relationships that create growth and change. Special thanks to Ray Backlund, coordinator of the New Mexico State University dance program, who holds a doctorate in counselor education and supervision, for sharing his connection between ballroom dance and positive uses of resistance with supervisees. Michelle Backlund is an assistant professor and clinical director of the master’s program in the Counseling and Educational Psychology Department at New Mexico State University. Identifying positive uses of resistance to enhance all types of relationships is a major part of her research agenda. Contact her at micback@nmsu.edu. Veronica Johnson is an associate professor and chair of the Department of Counselor Education at the University of Montana. Her research interests are intimate relationship development and maintenance, forgiveness in intimate relationships and clinical supervision. Contact her at veronica.johnson@mso.umt.edu. “Erin” came to counseling with all the signs of depression. She was unhappy with her career, her health and her family. Her mother was distressed, her father was distant and her disabled brother was sick. Erin spent a lot of energy calming and directing her family, and she complained about how little her family supported her in return. She increasingly relied on sugar to calm herself down, and she struggled to end this dependence. Erin’s anxiety was high, and as a newbie counselor, I struggled to operate outside of it. She cried through many of our meetings, and she grew increasingly critical of our work together. She said she wanted to stop focusing on her family dynamics, so I switched topics. She wanted to focus more on her eating habits, so I focused on that. Then she said I wasn’t giving her enough tools, so I gave her more tools. I dreaded meeting with her every week, knowing that she’d find some reason to be unhappy with me. I’ll admit that I was relieved when she decided to switch to a different counselor. It would be very easy for me to look back on my work with Erin and label her as a difficult or resistant client — someone who simply wasn’t ready to change. But now I know better. You see, I’m a student of Bowen family systems theory. One of the big ideas in Bowen theory is that relationships are reciprocal. Each person plays a part, and these parts are complementary. When you look at the individual and not the relationship, then you miss seeing this reciprocity. The therapeutic relationship is no exception. Erin was looking for someone to take responsibility for her problems, and I quickly dove in and volunteered as a way to calm down the room and avoid her anger. Looking back, I think about how our relationship might have been different if I hadn’t begun to overfunction for Erin and had refrained from “teaching” her how to fix her depression. I decided that Erin wasn’t willing to change, and I never stopped to think about how my actions were supporting her ambivalence and helplessness. Have you ever heard an interview with a successful person who grew up in an intense family situation? These individuals always have at least one variable in common. Someone took an interest in them. Often, it was a teacher, a coach, a grandparent or a clergyperson. Someone was curious about their capabilities, and they thrived from this interest. I truly believe that the opposite of anxiety is curiosity. If I can stay curious about counseling clients who are challenging, they will often do better. When I jump in and try to fix, I am communicating to those clients that they aren’t capable of solving a problem — that their thinking isn’t useful and that they should borrow mine instead. In such instances, I am more concerned with calming everything down than letting clients take responsibility for themselves. I am very fortunate to have a curious counseling mentor who does not prop up my own incapacity to direct my life. Even though we have been meeting for years, I could probably count the number of times she has made a suggestion to me on one hand. I can see how by simply asking good questions and helping me develop my thinking, she has allowed me to take responsibility for my own functioning. My job as a counselor is to help people see the reciprocity in their relationships. Like when a client wonders why his mother is financially irresponsible when he’s spent years bailing her out of debt. Or when someone wonders why her partner doesn’t share more when she’s constantly asking him to manage her own distress. When we focus on the other person in a relationship, we’re missing 50 percent of the picture. In fact, we’re missing the 50 percent that we can actually control. By focusing on Erin and what I thought was her “fault,” I missed seeing my part in our relationship. When anxiety is high in the counseling room, it’s incredibly difficult to shift the focus back on yourself. Difficult, but not impossible. So when a person is distressed, instead of fixing or reassuring, I try to relax my posture, take some deep breaths and access my best thinking. I try to pay attention to when I’m slipping into my default mode of overfunctioning. When a person asks me how I think they’re doing, I challenge them to trust their own ability to evaluate themselves. I try to do this for any relationship, whether it’s with a counseling client or with a friend. I think I’m getting a little bit better each day with noticing the reciprocity in my relationships. By seeing my part, I’m taking responsibility for myself and allowing others to do the same. In exchange, these relationships bring so much more joy into my life. If I can stay focused on myself around my most anxious clients, then, often, they end up being some of the most rewarding ones I see. It’s funny how when we treat people as though they can take responsibility for themselves, they are likely to rise to the occasion. I hope that Erin found a counselor who saw her as the capable young woman she was. Kathleen Smith is a licensed professional counselor and writer in Washington, D.C. Read more of her writing at kathleensmith.net. It’s not a politically correct statement, but, sometimes, clients are tough to like. Yes, counselors are supposed to remain professional at all times and practice unconditional positive regard. But they are also human, and fending off creeping feelings of “dislike” can be a challenge, especially when clients espouse racist, misogynistic or homophobic beliefs; have abrasive personalities; or simply remind counselors of someone in their own lives whom they find difficult to be around. So the question becomes, how do counselors handle that reality? Tamara Suttle is a licensed professional counselor (LPC) in Castle Rock, Colorado, with more than 30 years of experience in mental health. She also runs a business in which she provides supervision, consultation, private practice coaching and counseling for other therapists. In her opinion, most counselor education programs and the counseling profession itself don’t do enough to prepare future clinicians for those instances when they will experience negative feelings toward a client. In truth, she says, it’s a bit of a taboo topic. 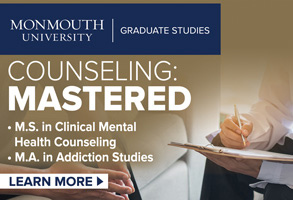 “If your professors don’t talk about these things and our clinical supervisors don’t talk about these things and our colleagues and our friends and our bosses and our professional associations don’t talk about these things, then we learn pretty quickly that we aren’t supposed to talk about these things or even experience these things,” says Suttle, a member of the American Counseling Association. The key is being able to set aside and even learn from those negative feelings when they pop up, Suttle says. To do that, counselors need to discern what is truly at the root of those feelings. Suttle acknowledges that after reflecting on her negative feelings toward a client, she sometimes discovers that the problem actually resides with her. 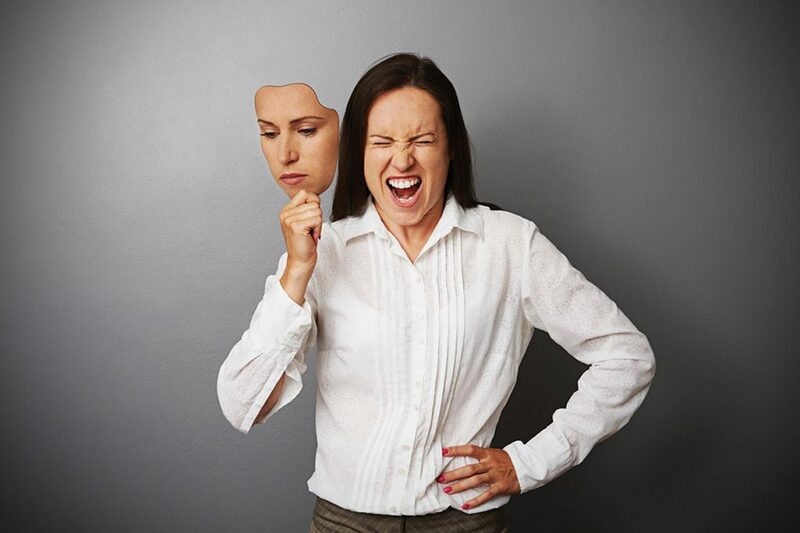 She is reacting with dislike because the client triggers personal issues she has struggled with herself, such as having been raised to be a people pleaser. Myers and Suttle both stress the importance of counselors practicing self-reflection to identify personal issues that can creep into counseling. When Suttle works with other counselors who are struggling to like one of their clients, she looks for what she calls “signature issues” in the counselors’ backgrounds. She does this by helping them to construct genograms. The purpose is to identify how a counselor’s family members interacted in relationships going back several generations, such as Suttle’s long line of people pleasers. Together, Suttle and the counselor search for behavior patterns related to family relationships. For instance, passivity might be a pattern in the counselor’s family. Suttle also asks about how conflict was handled in the counselor’s home growing up. As an example, a counselor whose father punched walls when he was angry might not be comfortable with conflict. This could engender a negative reaction to clients who push back, are stubborn or struggle to control their anger, Suttle notes. Identifying the personal issues and biases that contribute to a counselor’s dislike of a client is an important step, but that alone will not solve the problem, say Myers and Suttle. Both stress the importance of counselors receiving supervision and even engaging in individual therapy when their personal issues trigger feelings of dislike toward a client. Suttle has a consulting group that she meets with regularly, and she urges other practitioners to participate in similar groups to help them deal with problematic feelings toward clients. In accordance with the ACA Code of Ethics, counselors know that they must not force their own beliefs on clients, but what happens when a client espouses beliefs that are hateful, personally hurtful or just uncomfortable to the counselor? When Myers, a past co-chair of the ACA Ethics Committee, is working with a client who has strong prejudices or biases against certain groups and is making judgmental or harsh comments in session, he tries to tie it back into the therapeutic process. Ostrowski says the situation served as a good reminder for her to closely monitor her reactions when faced with a client’s prejudicial statements and biases. “I will say that for the rest of the session after the topic was brought up, I was checking every statement or question I used before I said it to see whether it was to benefit me or my client,” she notes. It is important for counselors to know themselves well so they can better guard against their personal beliefs and biases slipping into the counseling session, Ostrowski says. 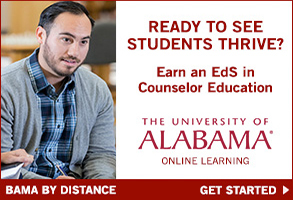 However, that doesn’t mean that counselors have to give up their personal beliefs. Regardless, hearing a client spout hateful or misinformed comments in session can still take a toll on counselors, Myers and Ostrowski say, and that is one reason why they think counselor self-care is crucial in these situations. Myers take breaks to walk in nature after client sessions that may have been upsetting because the activity helps him clear his head. Ostrowski, meanwhile, has found that staying grounded helps her and can be particularly useful while in session. Other clients can be difficult to like not so much because of their beliefs but because they possess abrasive personalities. Christine Moll, an LPC who practices in the Buffalo, New York, area, points out that no one ever said that counselors have to like every client they come in contact with. She cites the writings of Carl Rogers — one of the founders of the client-centered approach — to support her statement. 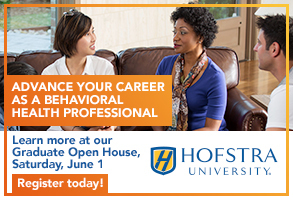 Regardless of how a counselor feels about a client, the goal should always be to help that client find and attain a good quality of life, says Moll, who is also a counselor educator at Canisius College. “I try to use what I’ve not liked about a person and figure out how to reframe it,” she notes.